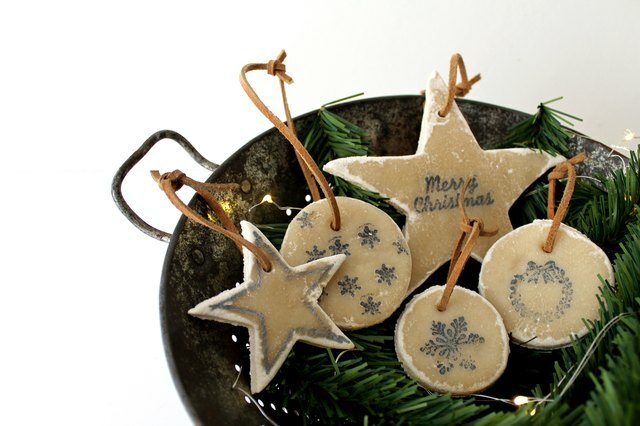 Custom ornaments are one of my favorite things to make with my kids during holidays. 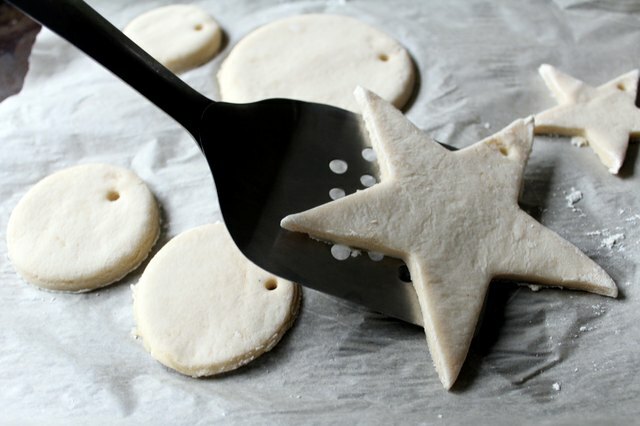 These no-bake salt dough ornaments are easy to make with the whole family — all you need are a few basic household ingredients to whip up a batch. Costing less than $10 in supplies, they are budget friendly, too! 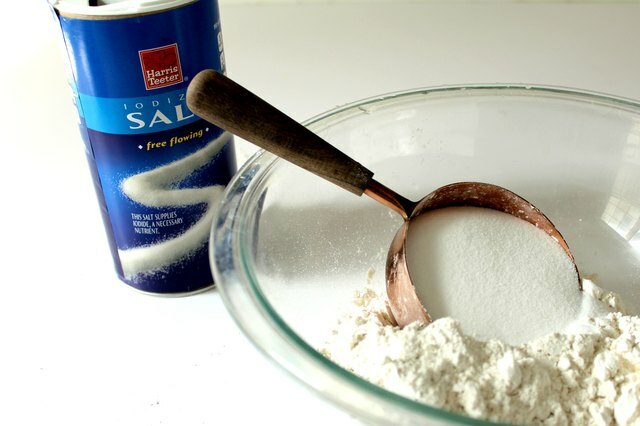 This recipe makes 10-12 medium ornaments. 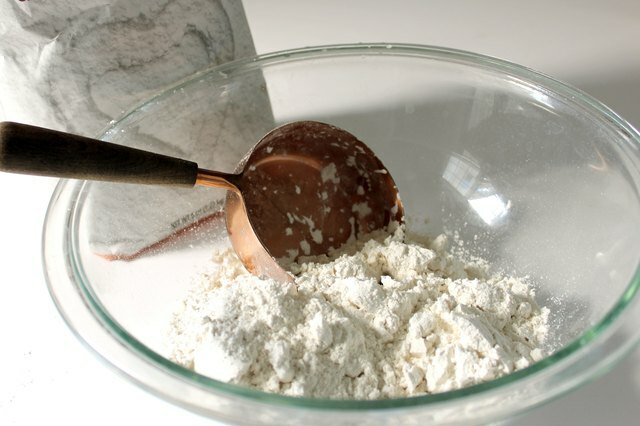 Add 2 cups all-purpose flour to a mixing bowl. Add 1 cup of salt. 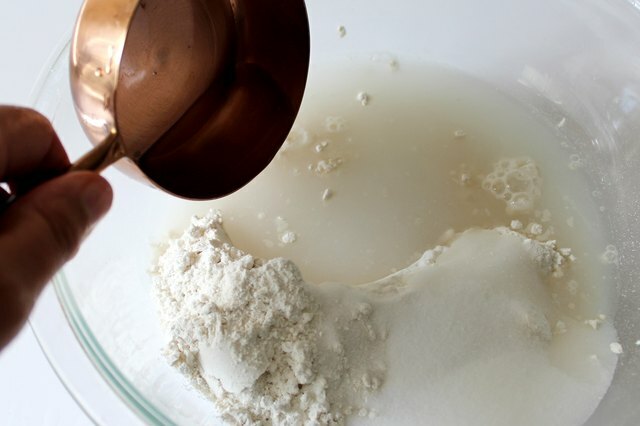 Pour 1 cup of warm water over the dry ingredients. Stir the mixture until it's well combined. 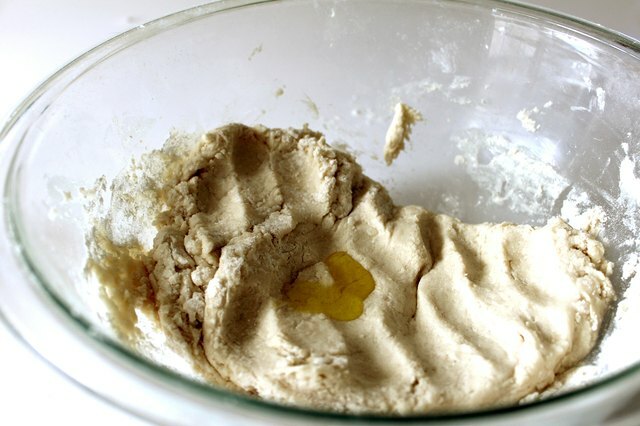 If the dough is sticky, add 1 tablespoon cooking oil. 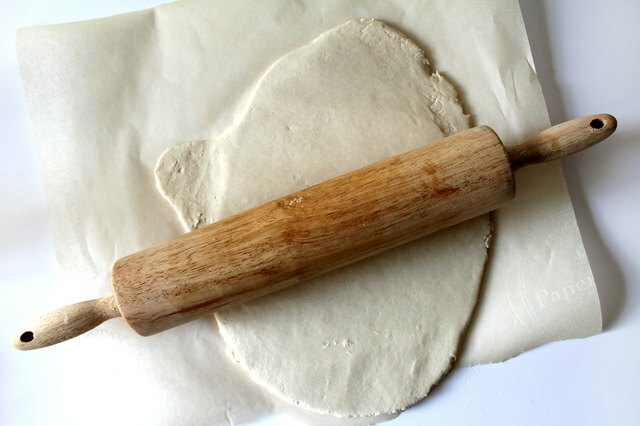 Roll out the dough with a rolling pin until it's about 1/4-inch thick. 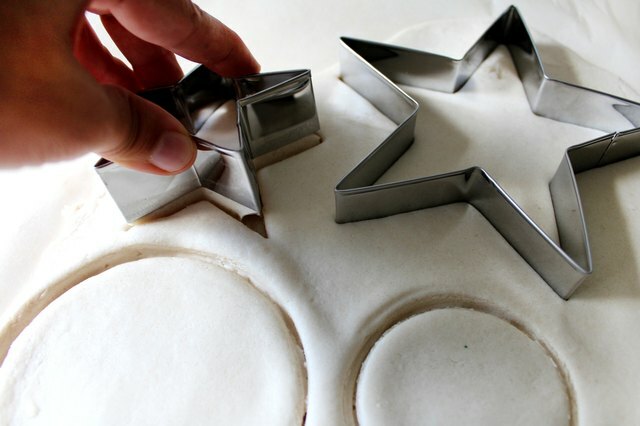 Cut dough with cookie cutters into desired shapes. 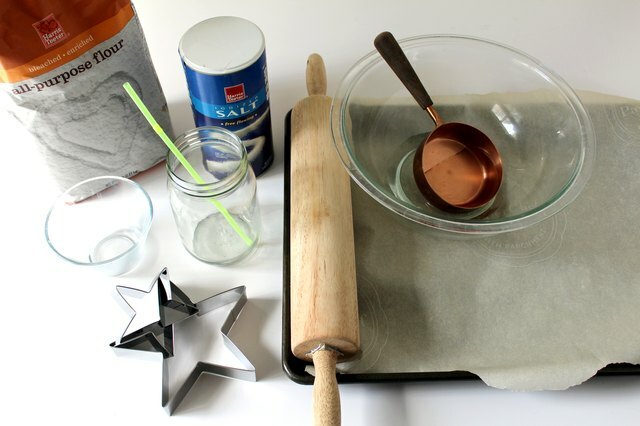 Use a straw to create holes for hanging. 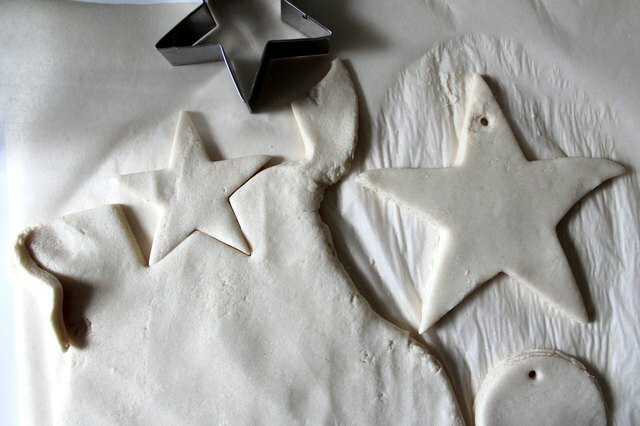 Remove excess dough from around ornaments and roll out the remaining dough to make additional ornaments. 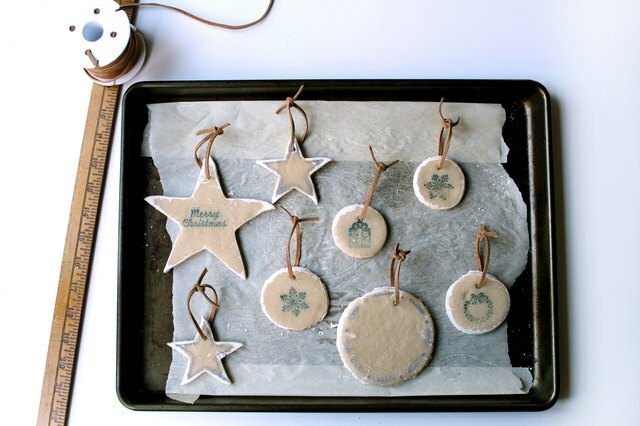 Line a cookie sheet with parchment paper and place the ornaments on the paper to dry. 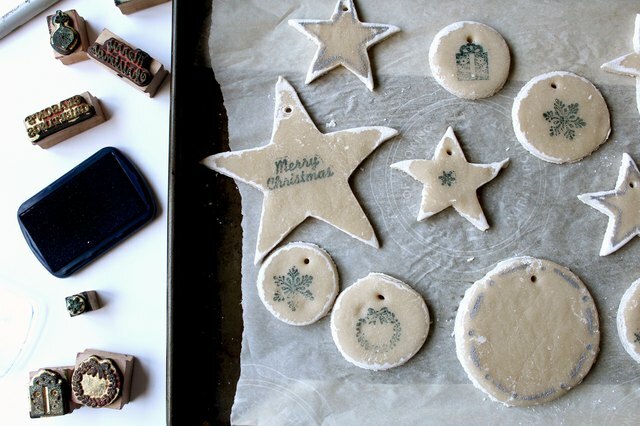 Flip ornaments every 24 hours until dry. The drying process will take 3-4 days depending on humidity. Decorate! 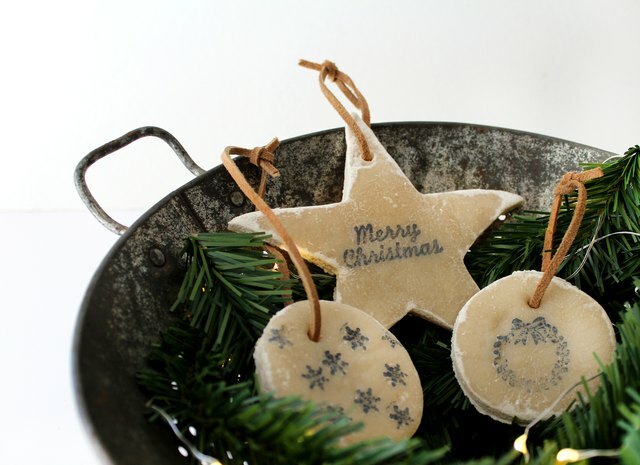 Use holiday stamps and an ink pad to create rustic, vintage-looking designs. 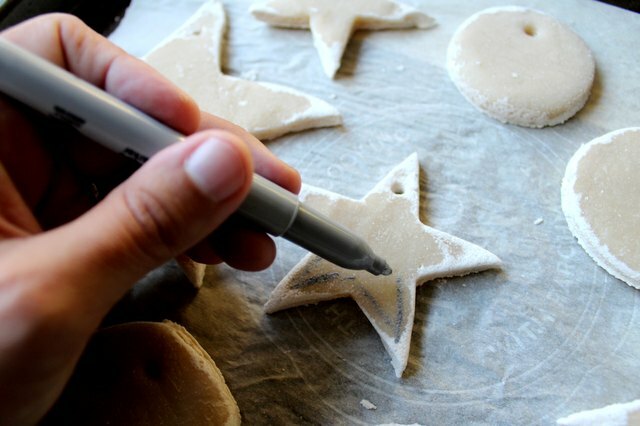 You can also decorate them with paint or paint pens to create custom ornaments. 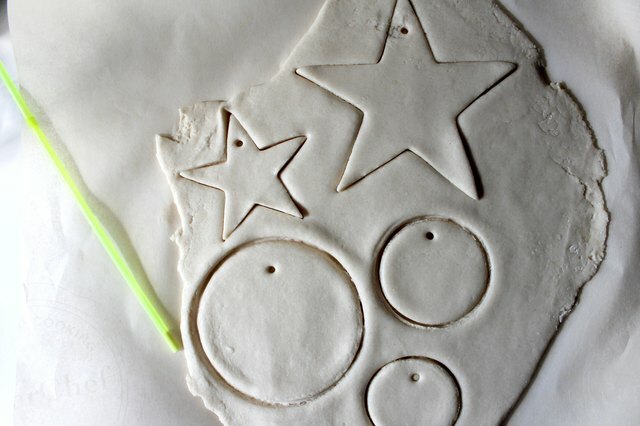 Cut 8-inch long pieces of suede lace for each ornament. Thread through ornament holes and tie a knot to secure. 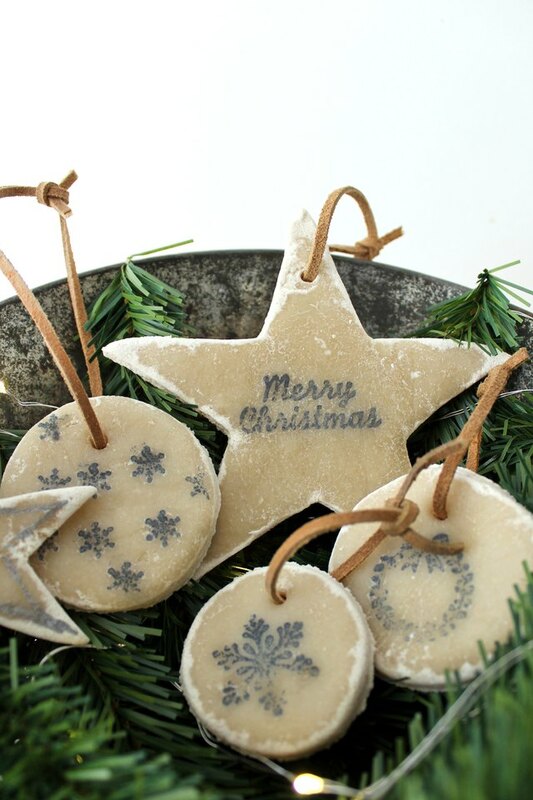 Your ornaments are ready to hang on your tree or give as personalized gifts. 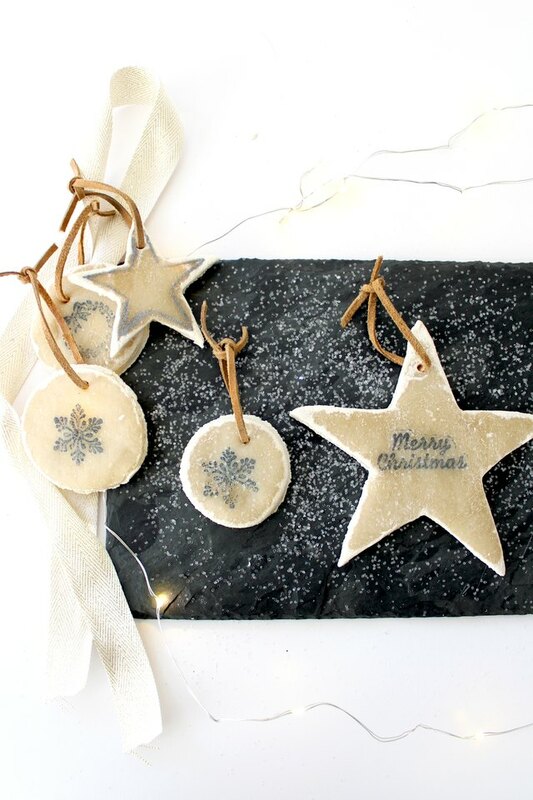 This is a fun, easy craft project the whole family can enjoy together! 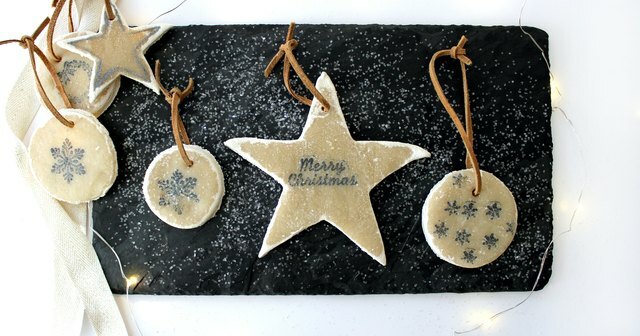 Salt dough ornaments can be fragile, pack with tissue in a gift box or when storing.